Futures from 1€ on Idem and Eurex, from 2$ on CME. Open an account: for the entire the month in progress and the next two you will immediately work with €/$9.95 per executed order. And with only 10 executed orders per month you maintain the reduced band forever. 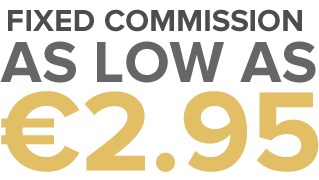 Moreover, if you increase the number of transactions, the commission can be reduced to as low as €2.95 or $3.95. Start at only €/$9.95 per executed order. 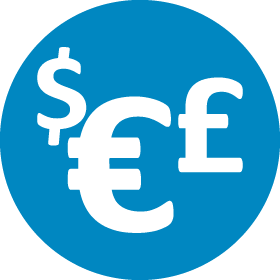 With only 10 executed orders (or €100 of commission generated) per month you maintain the reduced band. If you increase the number of transactions, the commission can be reduced to as low as €2.95. 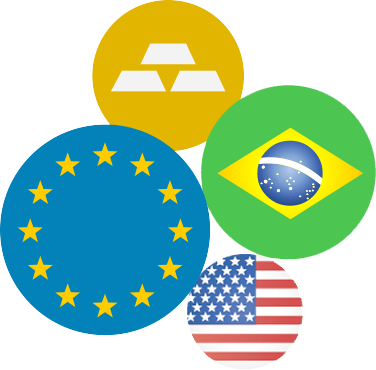 Italia e Europa: Obbligazioni (Mot – EuroMot – Etlx – MIMTF – Euronext), ETF e azioni (MTA – Xetra – Equiduct Germania, Francia, Olanda, Portogallo – Euronext), CW e Certificati. USA: azioni americane (Nyse, Amex, Nasdaq). Sui mercati Equiduct Francia, Olanda e Portogallo e Euronext, oltre alla commissione di negoziazione, è previsto il pagamento di 9€ di diritti fissi per ogni ordine eseguito. Per «commissioni generate nel mese» vengono considerate le commissioni generate con gli ordini eseguiti sia sui mercati americani che sui mercati europei (controvalore in euro). Per «asset totale» si considera la liquidità totale sommata agli investimenti. Per «risparmio gestito» si intendono i prodotti di risparmio gestito quali fondi di investimento e Sicav, polizze vita, gestioni patrimoniali in fondi, gestioni patrimoniali mobiliari, fondi immobiliari. With Fineco the commissions on derivatives are adjusted according to your level of activity: with 500€/$ of commissions generated you acquire a reduced commission band and you automatically keep it for the following calendar month. In the opening month and for the next two, you can trade on futures in the "over € 10,000 / $" range. Al superamento della soglia di 500$ di commissioni cumulate su tutti i derivati in dollari (CME e CBOE), il costo per lotto si riduce a 3,95$. Al superamento della soglia di 10,000$ di commissioni cumulate su tutti i derivati in dollari (CME e CBOE), il costo per lotto si riduce a 2,50$. La commissione ridotta sarà valida anche nel mese successivo a quello in cui viene raggiunta. Enter the most liquid currency market in the world in real time and work with leverage of 100* on over 50 CFDs with major world currencies as underlying with zero commissions only spreads, always transparent and starting from 3 pips. Operate on CFDs and Super CFDs with shares, BTPs, BUNDs, index futures, commodities and world currencies as underlying with zero commissions, zero statement charges and always transparent spreads. 1 - Orders always valid for the next day. 2 - By morning (10:00 am) the orders are valid for the current business day; order submitted after that time will be valid on the following business day. 3 - By morning (11:00 am) the orders are valid for the current business day; order submitted after that time will be valid on the following business day.